The DJ cleared up last week’s events on his show this morning. RED FM DJ Neil Prendeville has accused mentalist Keith Barry of ‘online bullying’ after Barry’s very public rant about a pulled interview on his radio show. Prendeville today addressed Barry’s comments that he had never met ‘such unprofessionalism’ his slot was cancelled in the wake of an appearance on rival 96FM earlier in the day. The ‘brain hacker’ took to Facebook and Twitter on Friday to have a rant about his wasted time. I thought it was a wind up at first as they had asked for no exclusivity and actually asked me 2 days prior to develop new material to perform on his fellow DJ KC which took me hours to do. However, Prendeville today said that Barry didn’t mention he’d be doing the same format on 96FM on the same morning, and was urged to pick just one. In a statement on the Red FM website, Barry apparently arrived and “demanded to be put on air” after his PR firm was contacted with the cancellation. When he was refused, he encouraged others on social media to boycott the show. Prendeville said on air this morning that it was online bullying, plain and simple. To threaten someone with Twitter, or to engage in Twitter or Facebook attacks… this is bullying lads, this is bullying. Pure and simple. And to encourage artists to boycott my show, to actively contact them, to ask your Twitter and Facebook listeners not to listen on… this is online bullying, and that is wrong. And it also, nevermind about me, take me out of the frame, it jeopardises innocent people and their jobs. 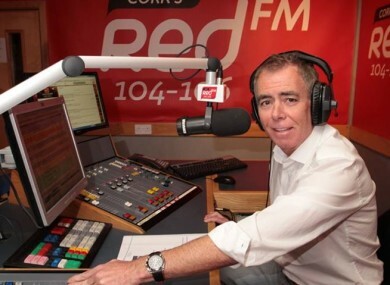 Neil later said that it’s common practise to ensure different guests from rival stations, and comedian Jon Kenny was given the same treatment from 96FM when he appeared on RED FM before his slot. Email “DJ Neil Prendeville accuses Keith Barry of ‘online bullying’ after pulled interview rant”. Feedback on “DJ Neil Prendeville accuses Keith Barry of ‘online bullying’ after pulled interview rant”.